One service user shared his story today at the launch of a new five-year strategy. 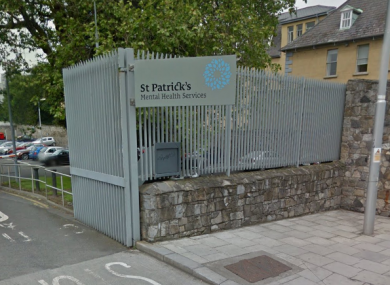 St Patrick's Mental Health Service launched a new five-year strategy today. STEPHEN BURKE HAD his first psychotic episode in 2006. He said it was caused by stress at work and he was admitted to St Patrick’s University Hospital in Dublin. “I did not know what was happening to me,” he said today, at the launch of St Patrick’s Mental Health Service’s new five-year strategy. It was my wife at the time who referred me here and as I said earlier she was my rock at the time because it was the first time in my life I was scared. I had never experienced anything like that, I had no answer for it. But as I constantly say, part of the recovery here in St Pat’s is through rehab, is to educate yourself on your illness and if you educate yourself on any fear you will overcome it. Burke said he had a relapse in 2007 and again in 2013 but he “continually sought to learn more” about his illness and he said that helped him through it. He saw a flyer in the hospital looking for volunteers to get involved in advocacy and he put his name forward. “I have a nine-year old son so I want to make sure he deals with things better than I did,” he said. “When I had my first episode, I obviously released everything in my head, in relation to what was going on at the time, but I grew up in a generation where you didn’t talk about things. He said he has seen a change in society since his first episode back in 2006 and is encouraged by how interested people are in learning about and talking about mental health. He urged anyone who believes a friend or family members is having mental health issues to talk to them about it and help them seek support. Included in the plan launched today is the establishment for a centre for excellence in mental health on the grounds of St Patrick’s University Hospital in Dublin. The ‘Jonathan Swift Hub for Mentally Healthy Living’ will comprise research, innovation and advocacy centres as well as enhanced adolescent and in-patient service. The aim is to provide a full range of initiatives for the wider population as well as recovery-based treatment services for people with mental health difficulties. Speaking today about the launch of the strategy, CEO of St Patrick’s Mental Health Services Paul Gilligan, said the service wants to continue empowering people like Stephen to be active in shaping legislation and services which impact on their lives. He said he believes there is an obligation on services like St Patrick’s to start delivering evidence-based research around which treatments work. Email “Recovering in St Pat's: 'I want my 9-year-old son to deal with things better than I did'”. Feedback on “Recovering in St Pat's: 'I want my 9-year-old son to deal with things better than I did'”.